First Floor 1981 sq. ft.
Second Floor 1449 sq. ft.
Width 53 ft. 2 in. Approx. Height 33 ft. 0 in. 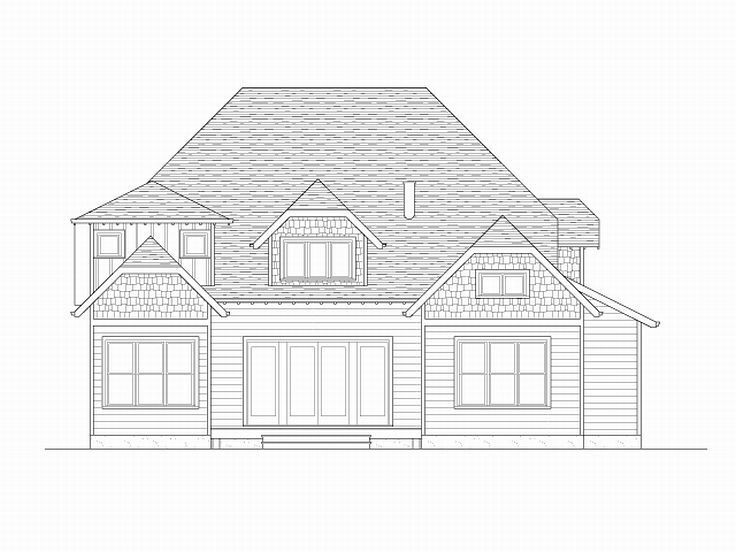 Stone accents, pediments and tapered columns are sure to catch your eye with this Arts and Crafts two-story home plan. Perfect for a neighborhood or a quiet street in the country, this design fits in nicely almost anywhere. 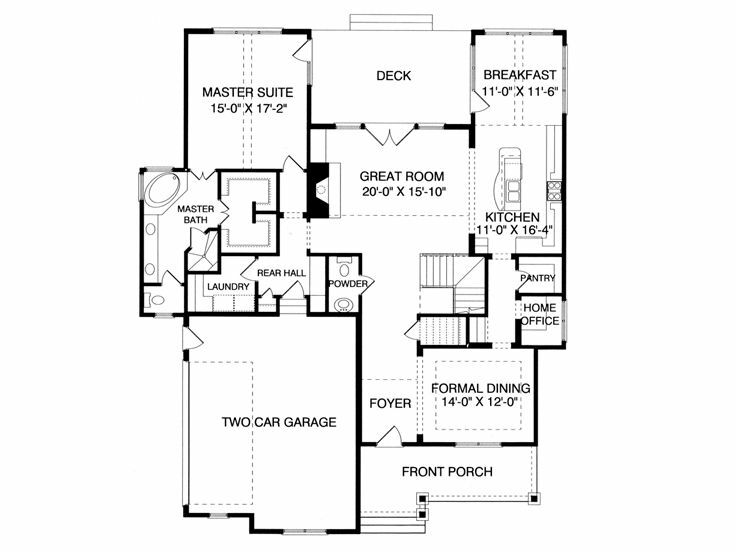 Inside, a functional floor plan provides comfort and room for everyone. 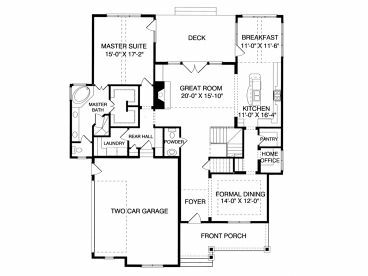 Begin with the open layout where the great room, kitchen and sunny breakfast nook combine promoting conversation and family activities. The chef of the home will be delighted with the large island and walk-in pantry. Multi-tasking is a snap with the home office just steps away – pay some bills while dinner bakes in the oven. Organizational built-ins accentuate the fireplace and a rear deck extends the living areas outdoors, ideal for nature lovers. A rear entry hall serves the laundry room and two-car garage adding convenience. 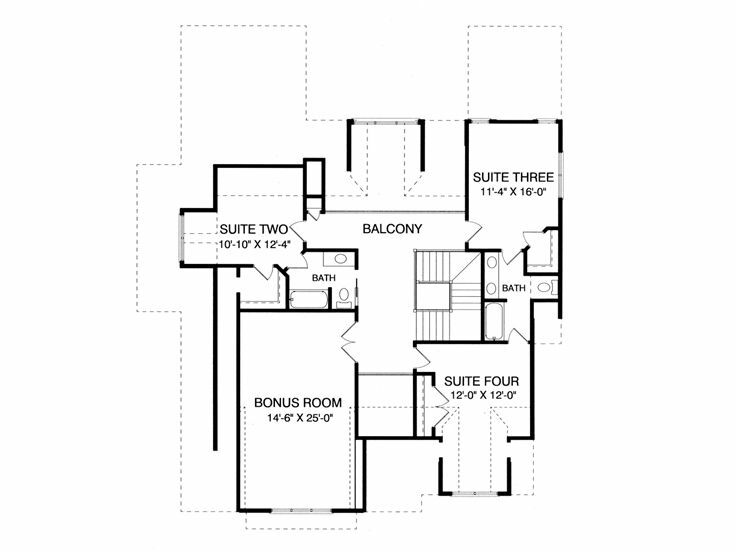 Retire to your master suite at the end of the day where lavish appointments await you. The indulgent bath will soothe away the days aches and pains with a corner whirlpool tub. Upstairs, a handsome balcony leads to three bedroom suites and two baths, which accommodate the children’s needs. 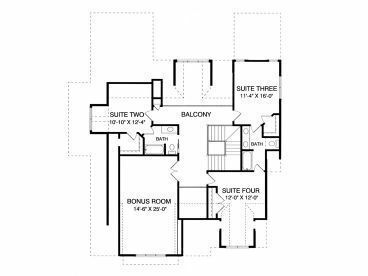 Finish the spacious bonus room any way you wish, just right for a game or hobby room. 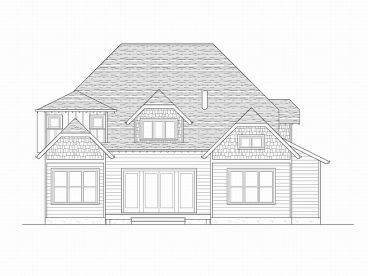 Packed with livability and many of today’s most requested features, this Craftsman house plan is sure to please you. If ordering right reading reverse, please allow 1-2 weeks for completion.